﻿ 1963 Gator Growl skit at the Homecoming pep rally at the University of Florida. 1963 Gator Growl skit at the Homecoming pep rally at the University of Florida. 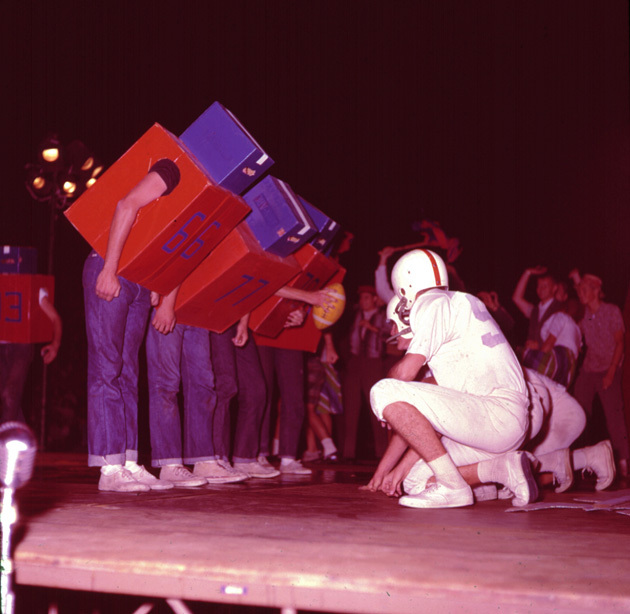 Gator Growl skit for the 1963 University of Florida Homecoming pep rally. Photograph 5101 from the University Archives Photograph Collection.